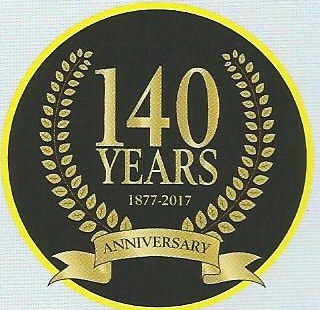 St Bonaventure's school celebrated its 140th anniversary on 27 August this year. In this, the first of two posts on the school, we take a brief look at its history, We are grateful for Di Halliwell, the school's head of PR for the contents of this post - taken largely from the summer edition of the school's magazine, which featured the text here. In the autumn of 1872 the Franciscan order opened a "middle class school for boys" beneath St Francis' church in Crescent Grove, Stratford, with 25 students. It was called St Francis' Day school, but closed a year later. 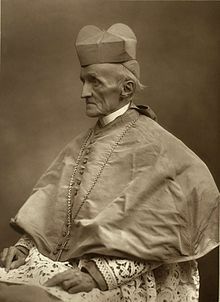 On 27 August 1877 St Bonaventure's school, Upton, was founded under the supervision of Father Germain Verleyen, and the numbers began to rise rapidly. Mr McVey was the first headteacher, under the direction of Franciscan monks and the active patronage of Cardinal Henry Manning. 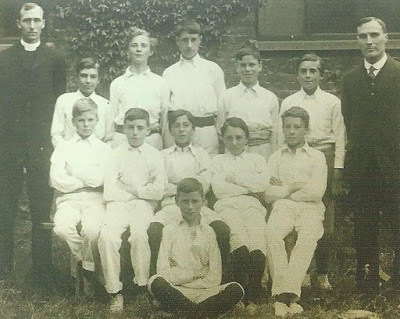 The school was a preparatory and junior school in its early days, which is why some of the pupils in the early photos look so young. Following the 1902 and 1904 Education Acts, St Bonaventure's became a secondary school, known as West Ham Grammar School (St Bonaventure's), and was fee paying. By 1910, the initial roll of 6 boys had risen to 100, with five masters. 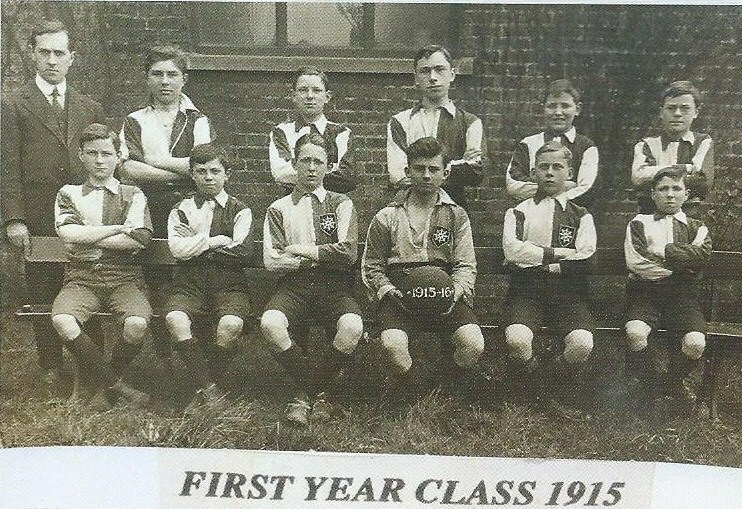 A photo showing the first year football team in 1915. The First World War was difficult for the school. Many of the boys were left fatherless, as surviving records show "killed in action" in the "father's name and occupation" sections of the registration forms. The school had 150 boys on the roll during the 1920's and just over 200 at the outbreak of World War 2, in 1939. The school was initially evacuated to Felixstowe, in Suffolk, and was based at the county secondary school, Felixstowe Grammar - which was co-educational - while retaining its own identity. The boys were billeted at the nearby villages of Trimley St Mary and Trimley St Martin. They were not there long, however, as the German occupation of Norway and Denmark in the spring of 1940 meant that Felixstowe was no longer considered a safe town. The school returned briefly to Forest Gate, before re-locating to the Rhondda Valley in South Wales, at the Pentre Secondary school. The students lived in a village - Treherbert - but arrangements were not satisfactory, as there was no nearby Catholic church. Plans were set in motion to return to Forest Gate, but the Blitz of 1940 put an end to them. A temporary home was found in Raunds, a small market town in Northamptonshire, but there was no accommodation available, and the students had to settle in Wellingborough - a few miles away. Here, the students alternated between public and grammar schools. This arrangements lasted until January 1943. Evacuation was voluntary for the boys, and as numbers on the roll declined rapidly. So, the longer term future of the school was in some doubt. But, the school bounced back. 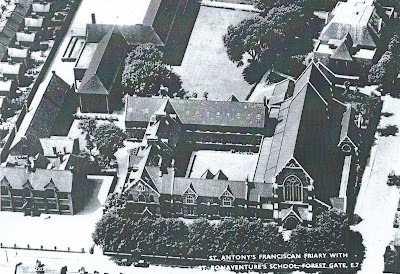 In response to the Education Act 1944, St Bonaventure's became a voluntary aided, multi-lateral school - the first and one of the most successful in the country. The school no longer existed to serve a small body of highly selective boys. It now became open to all boys aged 11 to 14 from East London, and embraced the whole range of abilities. The school roll soon tripled in number. 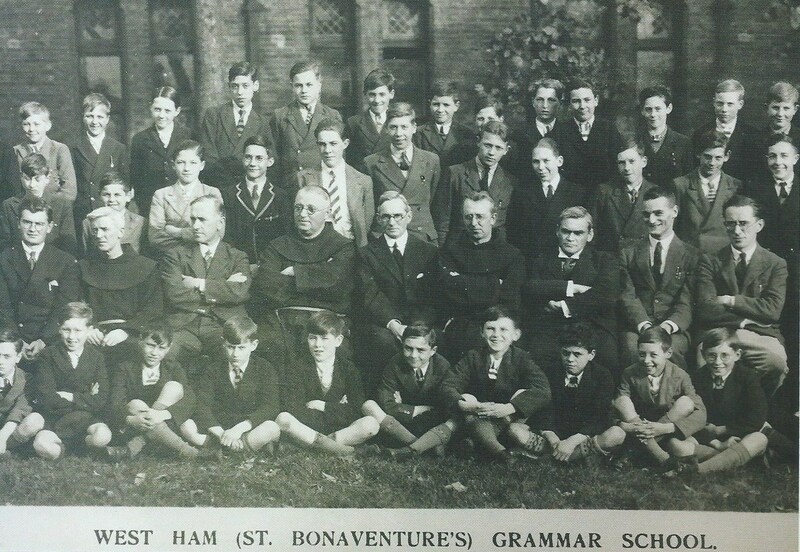 The school reverted to the name St Bonaventure's in 1949. Its frontage and address was Khedive Road, which was later changed to St Antony's Road. A plaque to "The glory of God and the memory of old Bonaventurains who gave their lives in 1914 - 1918 and 1939 - 1945" was erected in St Antony's church, next door to the school, to remember those who were killed during the World Wars. In the years since, the school has advanced by leaps and bounds and is currently an "outstanding school", as designated by Ofsted. Just what an impact the school has had on so many of its past and current pupils can be ascertained by a glance at its impressive list of alumni. A selection of some of the high achievers in the fields of industry, public service, entertainment and sport will feature in a future post on this website.